Originally published on October 1, 2015 on Virgin.com by Clare Kelly. 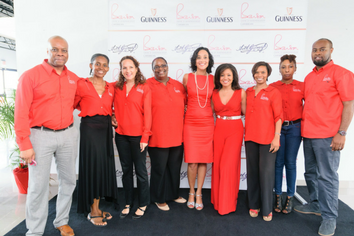 The Branson Centre Of Entrepreneurship Caribbean (BCoEC) And The Arthur Guinness Project Just Announced The Winners Of The ‘Made Of More’ Entrepreneurs Challenge. The Five Successful Entrepreneurs Securing A Total Of US$130,000 In Financing To Grow Their Businesses. The challenge wrapped up in Montego Bay, Jamaica, earlier this week, ending the two month business pitch competition. The eight finalists – all Branson Centre Official Entrepreneurs who have completed the Centre’s business skills training program – presented their elevator pitches to a panel of judges in front of an audience of fellow entrepreneurs and business leaders. The entrepreneurs spent weeks crafting their business growth plans and perfecting their pitches, under the tutelage of BCoEC’s Entrepreneur Programme Manager, Lisandra Rickards. “Through the multiple rounds of the competition and the hard work and preparation they put into their presentations, we have seen them grow and blossom. They demonstrate the breadth and depth of the talent that we have in the BCoEC programme, and they were ready & able to take on some funding in their businesses. We are really happy that, along with our partners Arthur Guinness Project, we are able to provide it to them,” stated Ms. Rickards.